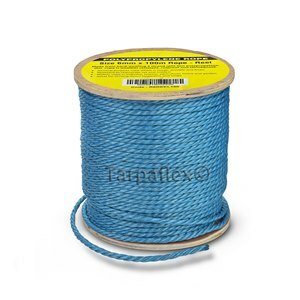 Our polypropylene rope is a general purpose rope with hundreds of uses in the home, garden, agriculture, boating or industry. Our reels of rope are supplied on a handy wooden reel for easy dispensing, and are available in 100m and 500m lengths. 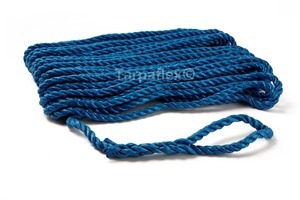 The 10mm diameter lorry rope is finished with a loop at one end, ideal for towing. 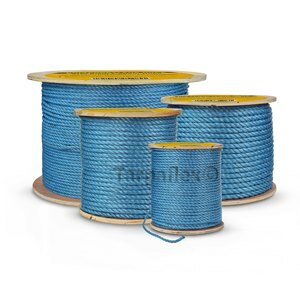 The uses are endles for polyprop' rope; most commonly used for strapping items down, lashing tarpaulins and cargo, its also used as a draw cord for underground cabling in the telecoms industry. ORDER 1 COIL - P&P JUST £2.50 +VAT!